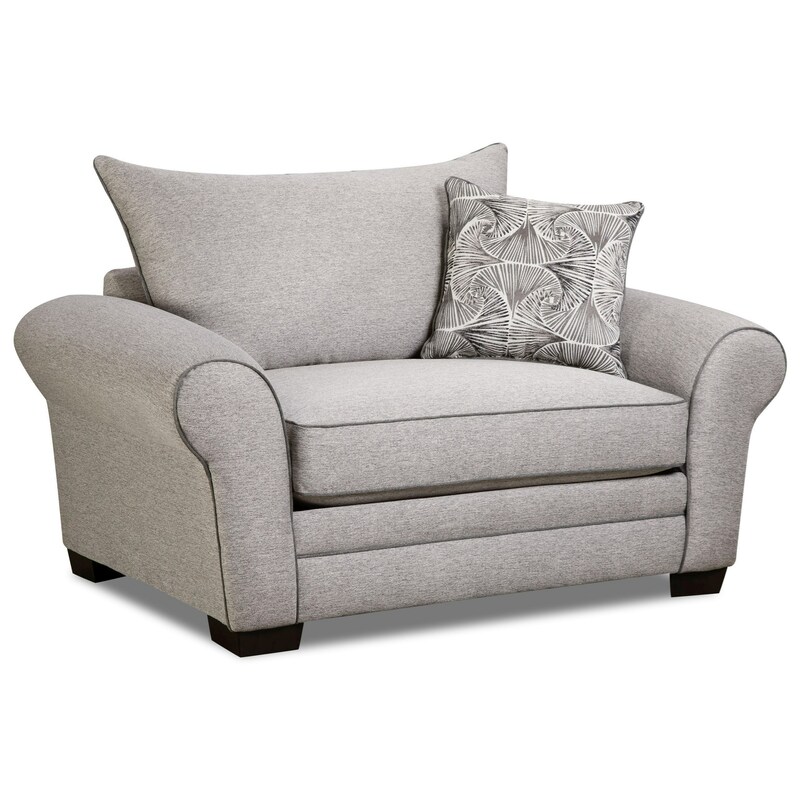 Large and in charge, this oversized chair will instantly become the best seat in the house. Contrast cord welt detailing and rolled arms offer the perfect design look, while plush loose cushions create irresistible comfort. This collection includes a sofa, loveseat, and ottoman as well as a coordinating accent chair and ottoman. The 5400 Transitional Chair and a Half by Corinthian at Miskelly Furniture in the Jackson, Pearl, Madison, Ridgeland, Flowood Mississippi area. Product availability may vary. Contact us for the most current availability on this product.